Heating | Cambridge Plumbing and Heating Installations Ltd. Whether you need a replacement boiler fitted, or a complete central heating system installed, we can provide a quality service at an affordable price. 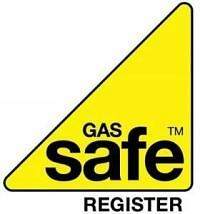 Our Gas Safe registered engineers specialise in the supply and fitting of gas and oil-fired boilers from Vaillant, Glow-worm, Vokera, Worcester Bosch, Grant and Wallstar, and we can supply and fit boilers from most other manufacturers. We recommend a MagnaClean is fitted in every new boiler installation. Cambridge Plumbing and Heating Installations Ltd are approved installers of Glow-worm Club Energy, Also we are approved installers for Vaillant Advance, this enables us to offer exclusive free of charge extended warranties that are not available to anyone other than the approved installers. We also supply and fit underfloor heating, mains pressure hot water cylinders, immersion heaters, thermostats, radiators, gas fires, thermostatic radiator valves and heating controls. Power flushing, also known as jet flushing or hard flushing, is the most effective way to clean a central heating system. It involves circulating a chemical mixed with water around the pipework, radiators and boiler to remove debris and limescale. Over a period of time sludge builds up in your central heating system, no matter what fuel source you use. This can block pipes and prevent the radiators from distributing heat around the house. This blockage downgrades the efficiency of your central heating. It also leads to higher fuel bills and reduces the central heating system’s lifespan. Radiators take a long time to heat up. Boiler makes strange sounds when heating is on. 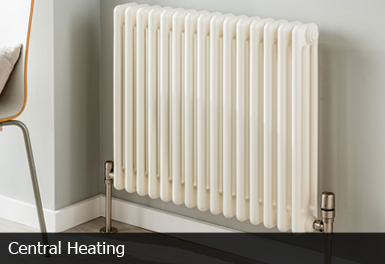 Radiators deliver partial heating (some areas stay cold). When bled, radiators ooze black-ish water. A power flushing unit is connected to your central heating system and water is pumped at a high speed through the system to dislodge any deposits. The process is made more effective by using specialist cleaning chemicals. Loose debris and limescale deposits are swept out and replaced with clean water, leaving the system ready to use. Power flushing does not involve high pressures and therefore works well for most domestic central heating systems. 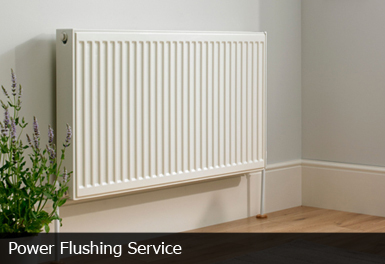 The whole process can be carried out with minimum of disruption, often without disconnecting radiators or the boiler. To ensure best possible power flushing, we use only the finest products from Fernox. Please call us today to arrange an appointment or simply to discuss any questions you may have about what’s involved and the benefits. For effective power flush services across Cambridge, Royston, Saffron Walden, Ely & Newmarket, please get in touch and see how we can help you. Call us at 01223 690677 or email at cphiltd@gmail.com to set up an appointment or just to discuss the process and its benefits. We also offer free quotations with no call out charges. A power flushing unit is connected to your central heating system and water is pumped at a high speed through the system to dislodge any deposits. The process is made more effective by using specialist cleaning chemicals. Loose debris and limescale are removed by the process and replaced with clean water, leaving the system ready to use. 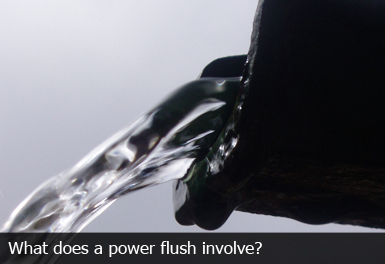 Power flushing does not involve high pressures and therefore is suitable for most domestic central heating systems. The whole process can be carried out with the minimum of disruption, and often without disconnecting radiators or the boiler. Fernox ProductsAt Cambridge Discount Installations we use only the finest products available from Fernox.